Agilent Technologies Inc. (NYSE: A) recently announced its Infiniium 2000 and 3000 X-Series oscilloscopes have won the 2011 EDN China Innovation Award for the best product in the test and measurement category. The EDN China Innovation Awards, an offshoot of the original EDN Innovation Awards, are considered landmark awards in China's microelectronics field. This year, 80 companies submitted 142 products. The 2000 and 3000 X-Series were selected unanimously by a jury of experts from industry, the media and academic research. The Agilent 2000 and 3000 X-Series won against strong competition from Rohde & Schwarz, LeCroy, Tektronix and National Instruments. This is the third time that Agilent oscilloscopes have received this award. Last year, the Agilent Infiniium 90000 X-Series oscilloscopes won the EDN China Innovation Award for the Best Test and Measurement Product. "We have consistently ensured that our customers around the world are served with the very best test and measurement products, and we sincerely thank our esteemed customers, as well as EDN China, for this prestigious award. This level of acknowledgement reinforces the technology leadership and unprecedented measurement contributions the new oscilloscopes bring to customers. We are honored by this innovation award and will continue on our path to develop additional industry-leading products," said Jay Alexander, vice president and general manager of Agilent's Oscilloscope Products Division. 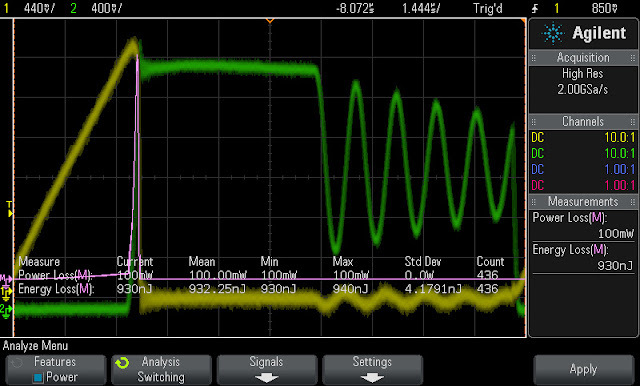 See more signal more of the time with the industry's fastest waveform update rate. Do more with the power of four instruments in one: scope, logic analyzer, function generator and protocol analyzer. Get more investment protection with the industry's only fully upgradable scope, including bandwidth. InfiniiVision 2000 and 3000 product images are available at www.agilent.com/find/InfiniiVisionX-Series_images.